A SCOTTISH satellite hub has announced seven customers for its second PocketQube satellite mission later this year. The Alba Cluster 2 mission from Alba Orbital will go into orbit on Rocket Lab’s Electron launch vehicle, with seven PocketQubes integrated into their satellite deployer, the AlbaPod. It comes after the company sold out its first launch, which will also launch in the third quarter of this year. PocketQubes comprise 5cm cubes, which can be stacked to make larger variants and clients from Hungary, Germany, Spain and the U.S. have confirmed their place in the second mission. The new cluster includes spectrum monitoring payload, built by Budapest University of Technology and Economics, which wants to make a global map of spectrum usage; an optical camera built by U.S. firm Mini-cubes and Hungarian group Advanced Technology of Laser will test a new thermal isolation material in space. 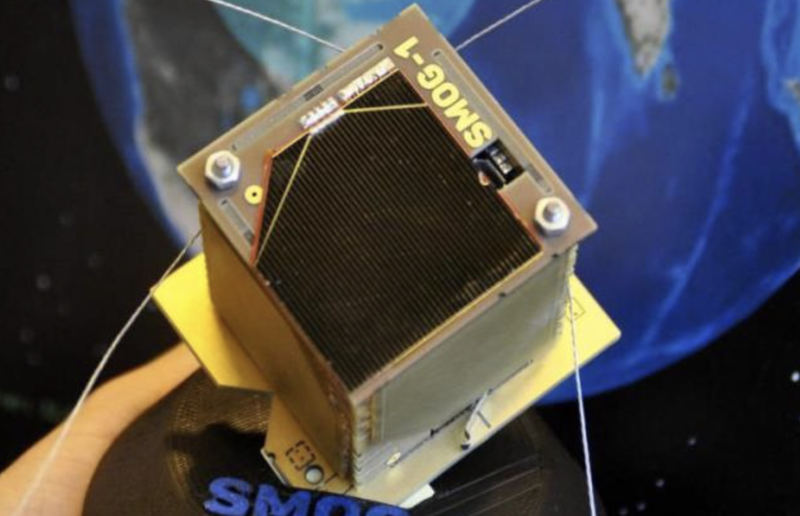 Stara Space satellites will demonstrate a new intersatellite link, encrypted communication and integration with ground station software that allows third party satellites to request data transfer — crucial technologies which are needed to create a real-time global communications constellation. Tom Walkinshaw founded Alba Orbital in 2012 and the company, which also has offices in Germany, now employs 15 people. The team has won five major contracts with the European Space Agency, worth in excess of €1.5 million (£1.28m). Unicorn-1 and Unicorn-2, their platforms, serve different parts of the satellite value chain and with their new AlbaPod deployer, can fly on any launch vehicle. Slots for the second launch are sold out but Alba said others on its third launch are still available, with prices starting €25,000 (£21,300). Walkinshaw, Alba’s CEO, said: “Getting a satellite to orbit has traditionally cost six figures, taken years and is prone to many delays. “Alba’s Launch Cluster 2 alleviate these problems, significantly reducing the barriers to launch PocketQubes in a regular and cost effective manner. “This will help fulfil Alba Orbital’s goal of democratizing access to space. Peter Bec, the founder and CEO of Rocket Lab —a privately-funded company with headquarters in Huntington Beach, California — added: “The satellites of today are getting smaller, doing more and costing less to build, but until now it has been a challenge for them to get to orbit.